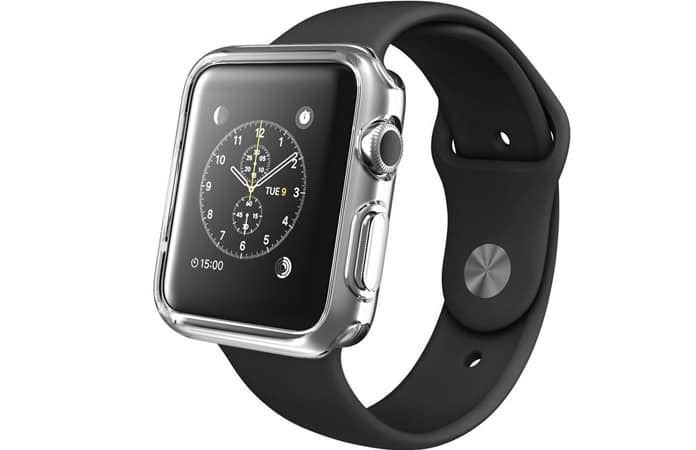 So, you have finally bought one of your favorite Apple gadgets, that is, the Apple Watch. You are now being all protective about it and using it delicately. It is always a good idea to buy protection cases along with the mobile and portable electronic devices. It saves us a big amount of money for repairing services in case we failed to buy these cases. Read on to see our list of the best Apple Watch waterproof cases. Today, we are going to discuss the 7 best Apple Watch waterproof cases protecting your Watch as its safeguard. As of now, Apple has not come up with its official range for the Apple Watch waterproof case, thus customers are supposed to rely on cases of other brands. It offers a tough and solid look. The metal button in it protects the button below the digital crown. Its built-in screen secures the screen of your watch. It comes in tangerine, champagne gold, and gunmetal finishes. Moreover, it is shock resistant and inexpensive than other cases. 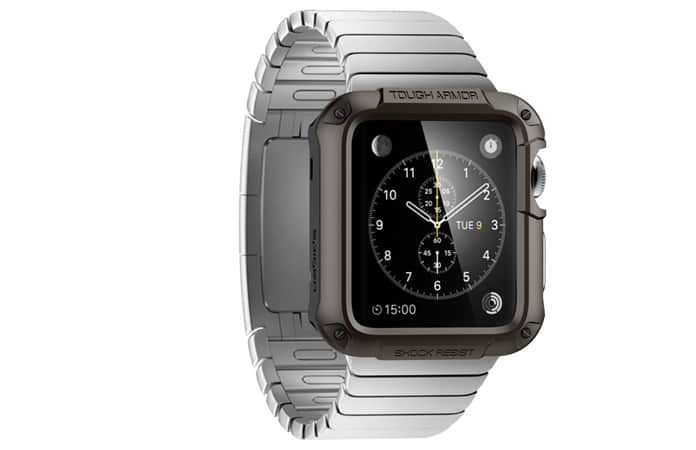 The downside of this case is that it wraps up the entire watch adding a bulky feeling to it. Also, there are only few colors available in this case. Get this waterproof case for your Apple Watch from Amazon. As the name says, it has a very thin shape and will not give your watch a bulky look. It can serve as a great decision for a small investment in your watch. It comes in semi-transparent and semi-translucent forms. It comes in interesting colors such as crystal clue, crystal clear, crystal pink. 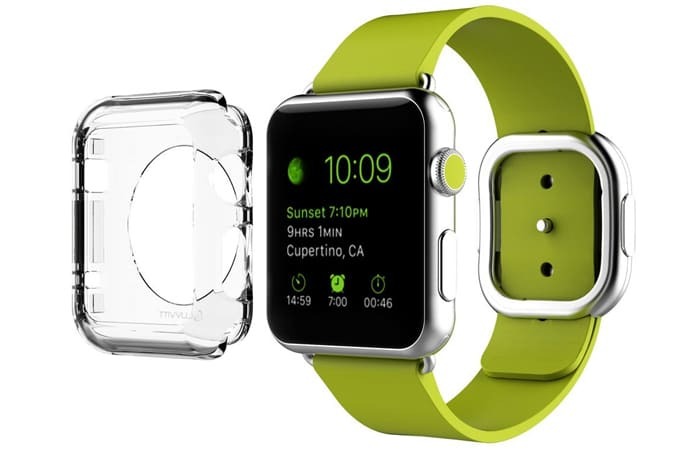 This Apple Watch waterproof case is not sufficiently tough because of its thin shape. Also, its translucent form may not appeal some people much. 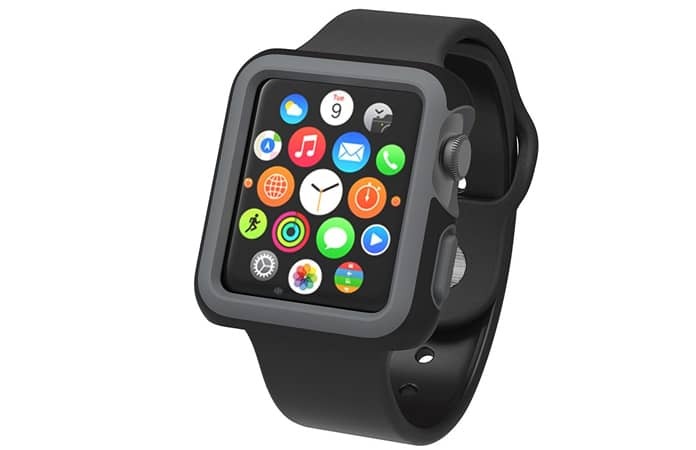 Get this iWatch case now from Amazon just for $6.99. 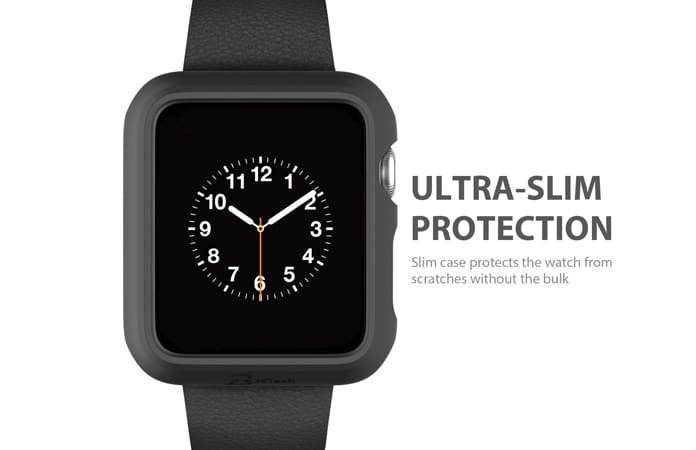 This Apple Watch waterproof case comes with a dual-layer protection. Its size comes in both 38mm and 42mm. This case is a good choice for people who often go for rock-climbing. It protects your watch against sweat and sun rays. One great offering of this case is that offers full bezel protection. This case comes in various stylish colors. This case also gives a bulky look to the watch. Also, the color part of the case hides the real design of the watch. Get it today from Amazon.com. It is accompanied with two screen protectors. It protects your watch against scratches as it is built of a scratch resistant material. It is an inexpensive buy and comes in crystal clear form. It is not for you if you’re looking to buy a bright color case. Also, with time, the case gets yellowish in color. 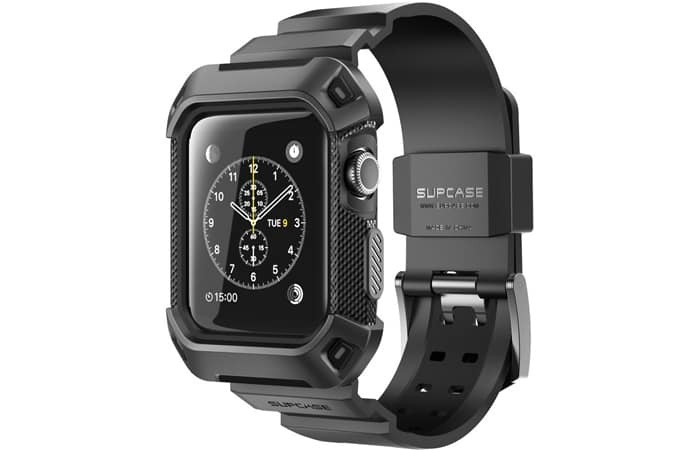 Get this iWatch case from Amazon.com. It has defined cuts that exquisitely fit your watch. 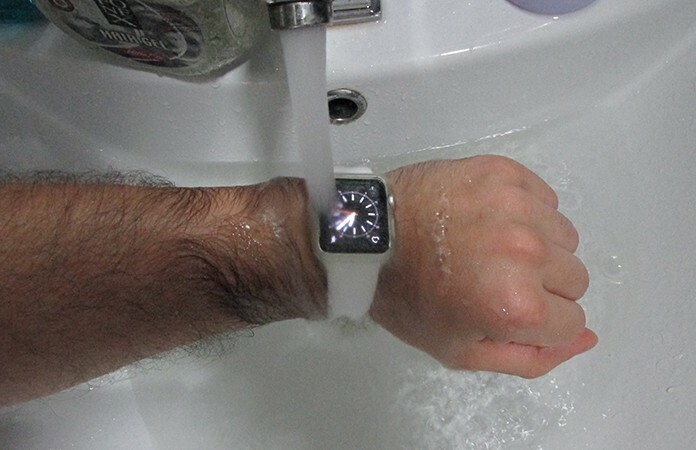 This Apple Watch waterproof case has advanced dual layer screen. This case gives a sturdy look to offer a quality look. You can easily access button and sensors with this case. It holds an extremely solid feel. Due to its rugged feel and dual layer protection, this gives a bulky look to your watch. Also, the color options are very limited. Get this case from Amazon.com using this link. If you are not willing to spend anymore on your Apple Watch, then this is the right buy for you. It has a slim design and comes with a covered button. It comes in the colors of black, blue, and crystal clear. The color options are very limited for this case. Also, it doesn’t hold its quality for long run. Get this case right now from Amazon. 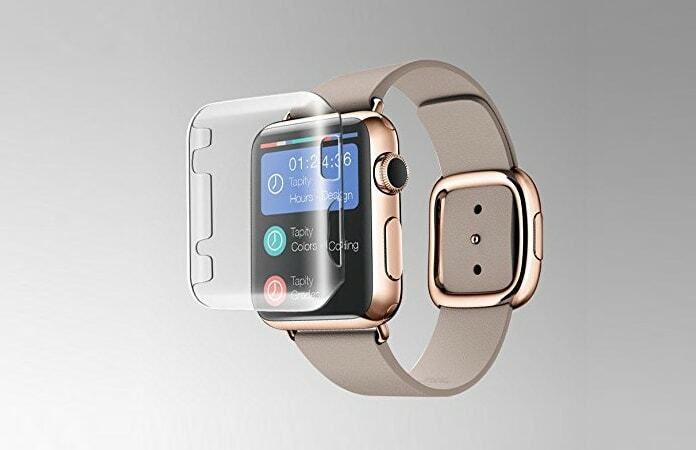 To protect your screen better, this Apple Watch waterproof case has raised edges at the front. It is flexible as it is comprised of premium TPU material. With reasonable price and flexible usage, this case comes in the combination packs of five colors. It also gives your phone a bulky look. Although, it does offer a good deal of colors, but this is only available for screen. Buy this case from Amazon.com using this link.